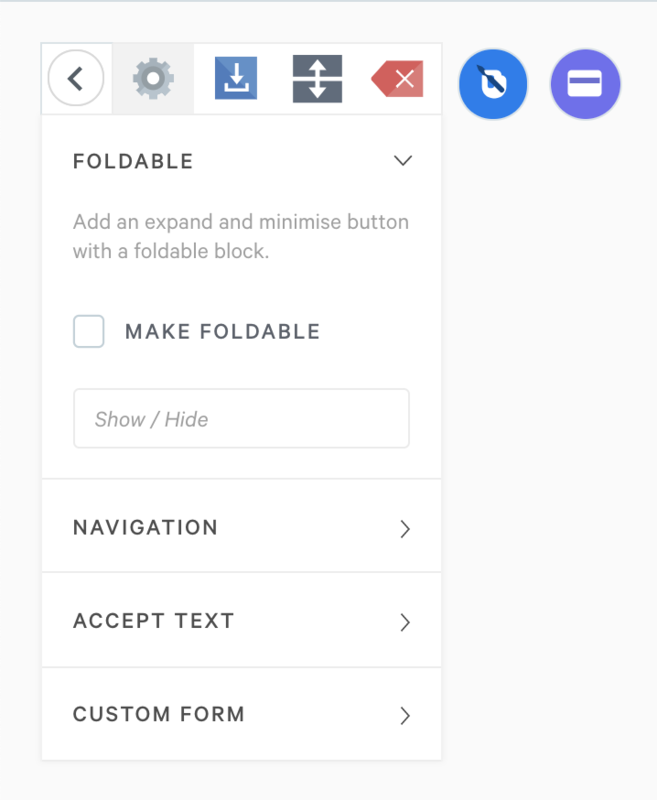 With the Accept Block we make it easy for your clients to accept any document. This can be a proposal, a contract, or just anything you want them to accept (and sign!). Note: e-signatures are only available on our Business and Enterprise plans. An accept form is available to all accounts. To add an Accept Block you'll head to your Block menu and choose Accept. Note: You can only add 1 Accept Block per Qwilr Page. If you attempt to add a 2nd one you'll see an error message. Once you've added your Accept, you'll be able to customize certain aspects of it. These options depend on your plan. *Features are only available if you're on our Business or Enterprise plan. 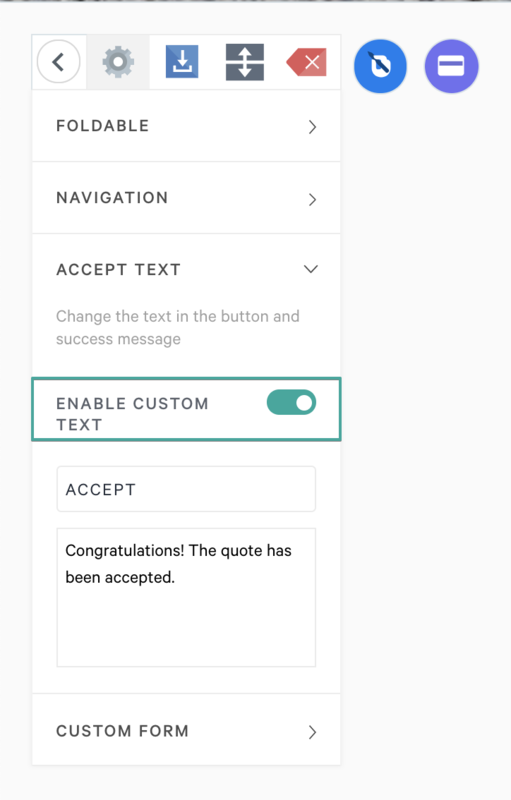 To add or edit the text above your Accept button you'll edit like any other block. You can add text or images. Then head to the Accept Text section. You'll see 2 fields there for each area you can edit. Add whatever text you want there. 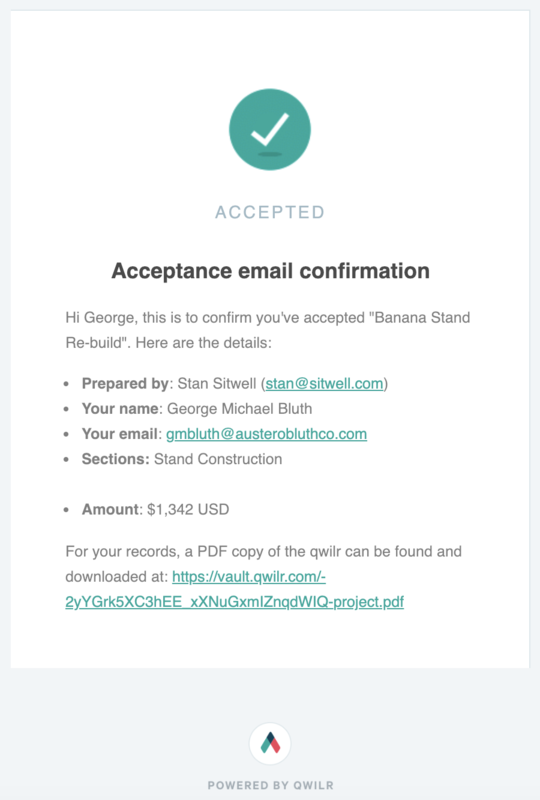 While editing your Qwilr Page you'll be able to preview the acceptance process and see what your client will see. Accepting via this method doesn't trigger acceptance. To preview, go ahead and click on your Accept button from the edit screen. This will bring up your Accept form. 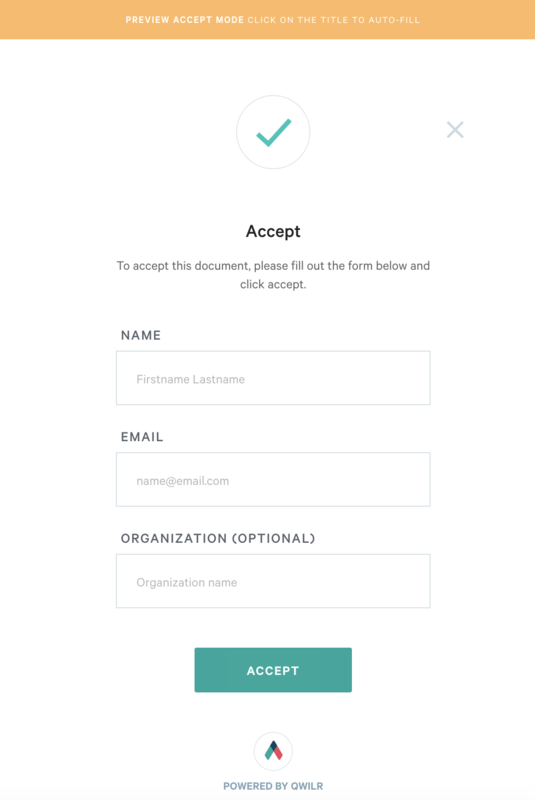 Click on the "Accept" text to automatically prefill your form with some default data so you can save time on typing! From there you can accept and see exactly what your client will see. As soon as you've set your proposal to be live, you'll see the status in your dashboard switch to Pending. Once it's been accepted you'll see the status switch to Accepted and, depending on your plan, you'll be able to view the audit trail.